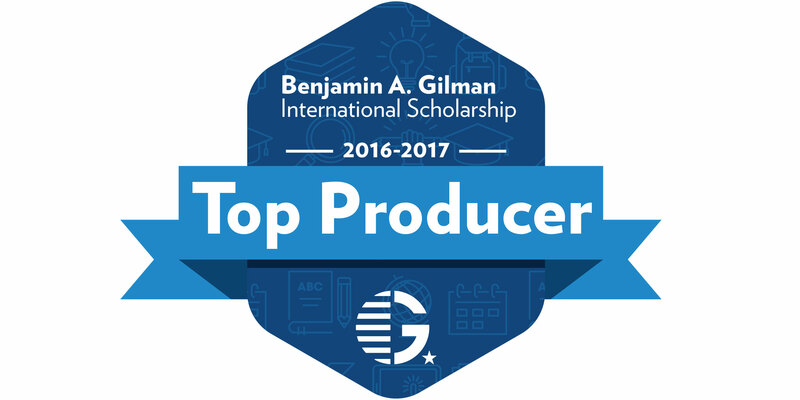 Bronx, NY—Lehman College was named as one of the top colleges in the nation for producing Benjamin A. Gilman International Scholarship winners, the U.S. Department of State announced. Lehman was tied for fourth among medium-sized colleges and universities, defined as having between 5,000 and 15,000 undergraduate students, with 13 Gilman winners in the academic year of 2016-17. The other schools with the same number of winners as Lehman included American University, SUNY New Paltz, The New School, and the University of New Hampshire. Lehman College was one of three CUNY schools on the list, which was compiled by the department’s Bureau of Educational and Cultural Affairs in collaboration with the Institute of International Education. Lehman has been recognized for its success in making international study and internships more accessible and inclusive for American students of all backgrounds through the Gilman program.